Week 11: Green Machine – Where's The Tofu? Made fresh daily at Whole Foods! Theme of the week is green! Green is one of my all-time favorite colors (except when Michigan State is involved). It’s such a happy color and it was everywhere this week: St. Patty’s day celebrations, green outfits, green juice and smoothies, leafy green food, green grass along the coast, and green/slimy Bay water. The only “green” from the week I despise is that MSU won the Big Ten basketball championships, beating Michigan. Arrghhhh. Time to see what our boys can do in March Madness! This week was the first week where I really felt challenged both mentally (crazy headwinds on our bike ride) and physically. We did a 1 mile swim in the open water Bay immediately followed by a 9 mile run on Saturday, and then a 56 mile hilly and windy continuous bike ride on Sunday. I’m a little sore, but overall staying strong and feeling wonderful. Our weekend workouts are getting longer in distance and I’m definitely happy about that. It gives me more confidence that I’ll be ready for the Wildflower Long Course (a very challenging race) coming up in 7 weeks (May 3rd)! This week we also had a ton of sunshine! We had summer weather in the Bay which felt like an appropriate end to our mild winter. Still doing my rain dance, don’t worry. This was my first open water swim in 8 months so naturally I was a little nervous and anxious to take the plunge. Open water swimming can be a little terrifying — you don’t have a ledge to hold on to, you can’t see the bottom (all you see is green slimy gunk), it’s freezing cold (50-something?) which can make breathing difficult, and you don’t have lane markers separating you from anyone else. It’s a total free-for-all! Our coaches were awesome and spent a good 30 minutes giving us a pep talk about what to expect, how to properly put on your wetsuit, and how to stay calm. They also gave us some pointers on sighting which is key for open water. We then heard a very emotional team honoree story about our teammate’s husband, Scott, who had passed away from a blood cancer. We all thought about either Scott or our personal honorees while we were swimming. 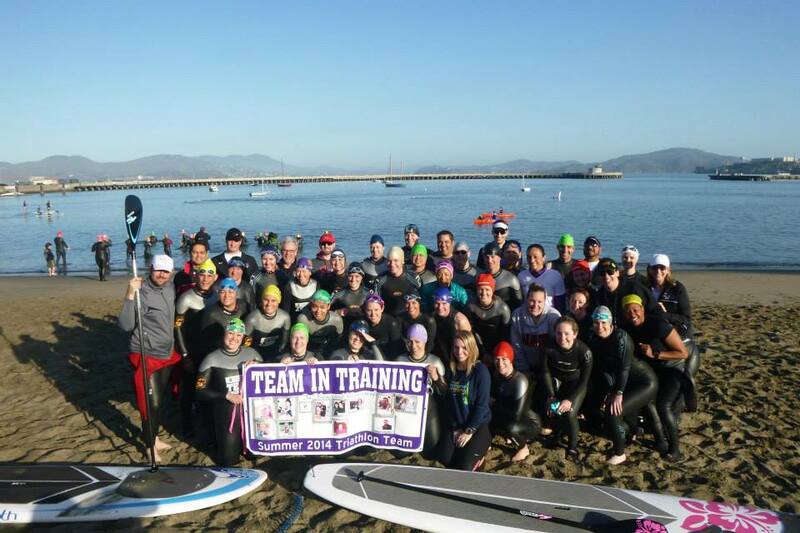 Group photo before jumping in the Bay! We put on our wetsuits, applied a crazy amount of Body Glide, and did a little warm-up jog and calisthenics to get those muscles ready. Then we were off! I dunked my head under water, purposely filled my wetsuit with water and started “swimming”. I put this in quotes because it was more of a hyperventilating doggie paddle to start. The key was to get your face and hands numb as fast as possible. It took a good 5 minutes to get my breath under control and start swimming like a normal person. But once I gained control of my breathing I settled into a nice, easy, steady pace and I felt extremely relaxed and calm. I took a couple doggie paddle breaks every so often but nothing crazy. I definitely need to work on my sighting, though. Everytime I looked up to see where I was going, or to make sure I wasn’t going to run into anything, I could feel myself slow way down. Something to work on for next time. Matt Lieto wrote about this on his blog recently, some good tips in here. I ended up doing about a mile, slower than expected but I was happy that I was able to do a continuous swim of 45 minutes. The most I’ve done non-stop has been 25 minutes in the last eight months. So I was super happy and felt really good about the swim. 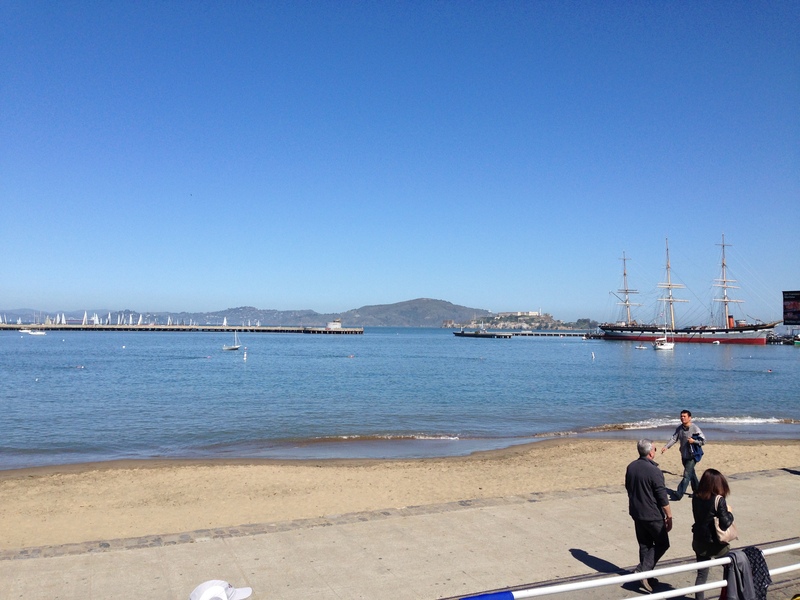 Aquatic Park – gorgeous day! Freezing bay! 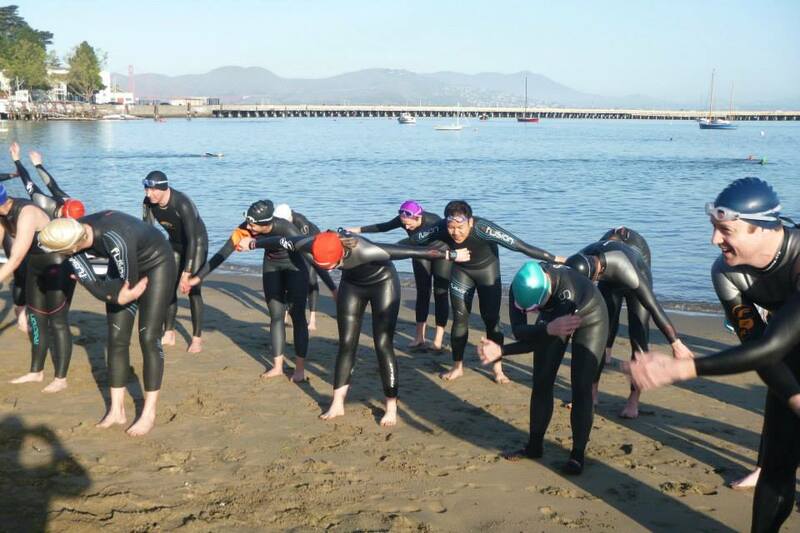 I also want to give a big shout-out to my teammates who had never swam in open water before. That was a really challenging morning and I’m really impressed by everyone who jumped in and conquered their fears. I remember for my first open water swim our coaches had us do a few minutes, then come back to shore, then go back out for a few more minutes, then back to shore. We eased into it very slowly. Not this team. We’re fearless! So I’m just really impressed by anyone who did the full ~45 minutes for their first time, that’s scary and not easy at all! You should all be really proud. Rachel, me, and Becky, before jumping in! 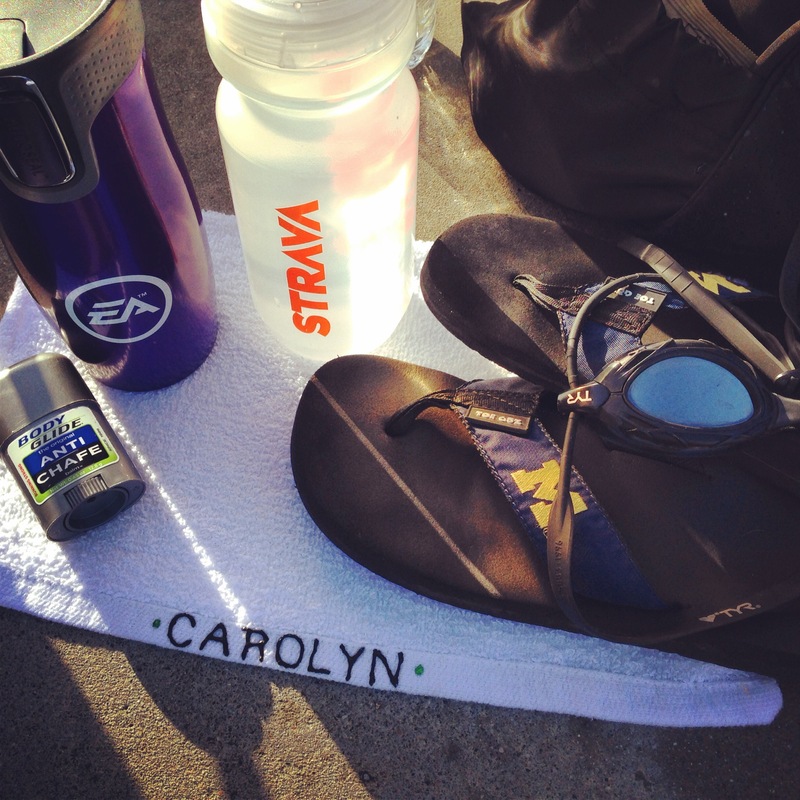 Immediately after our open water swim I took off my wetsuit and cap, dried off, rinsed off my feet, and threw on my running shoes. 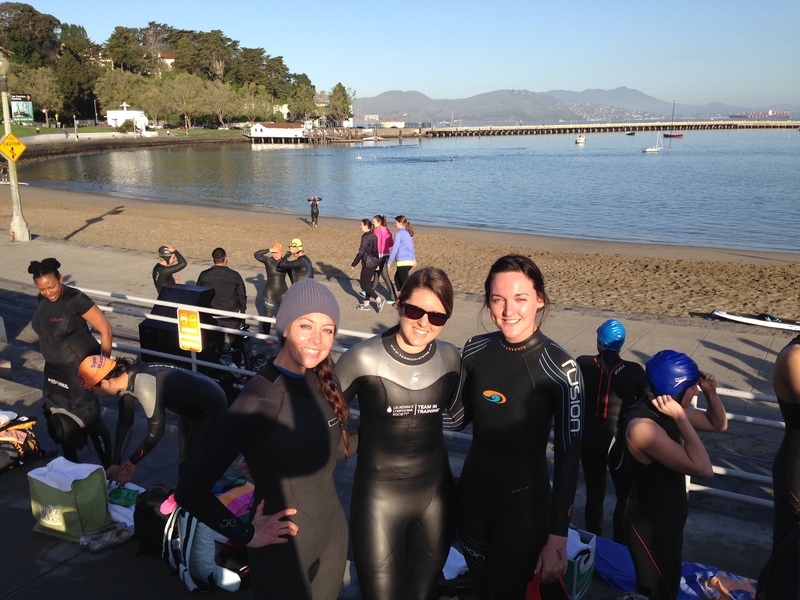 I wore a tri suit (spandex shorts and dry-fit sleeveless top) under my wetsuit so I could easily switch to running. We ran along the Marina with the Bay to our right and the Golden Gate Bridge ahead of us, then went through some trails uphill for another few miles, then back down. It was a gorgeous day and I felt pretty darn strong and fast the whole time (maybe my body was still numb from the swim?!) I rolled my ankle a little bit on a downhill but I just shook it out. Afterwards a few of us went to The Pub in Ghirardelli Square for a well-earned lunch. I had a hot coffee, a Portabella sandwich and splurged for tater tots. On Sunday we were on our own to do a 3.5 hour bike ride wherever we wanted. 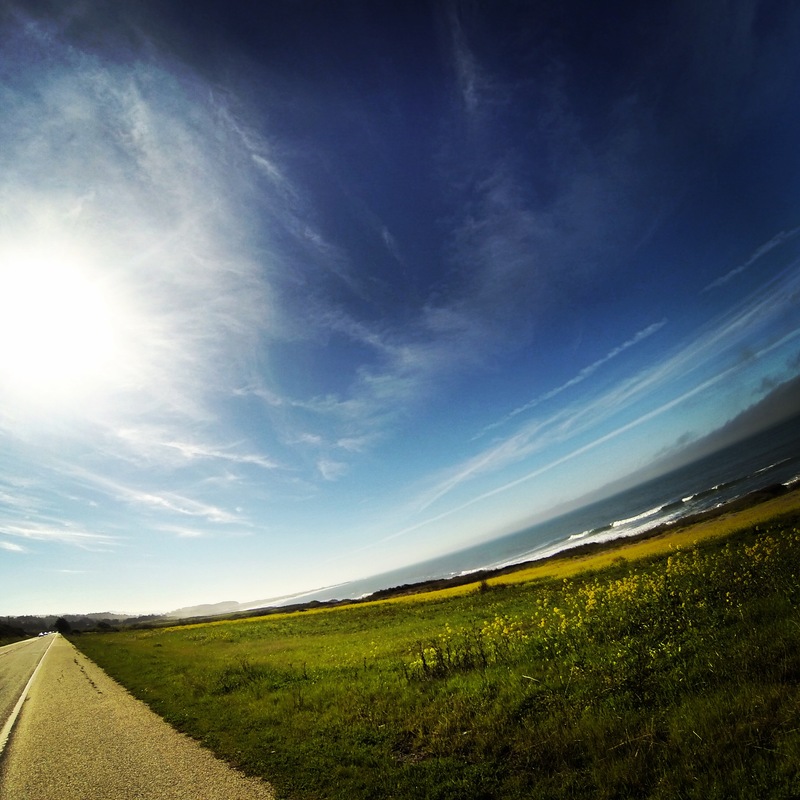 I organized a small group to head down to Half Moon Bay to ride along the Pacific coast. I wrote about this ride in a prior blog entry here. Big thanks to Jamie and Dennis for joining me on this ride! We got to the start location and were a little perplexed by the 45 degree weather and dense fog. The weatherman said it would be 70 and sunny! Good thing I brought leg warmers, a thick jacket, and blinking lights for visibility. We made the most of it, and started riding in the cold. I thought, “no big deal, the fog will burn off.” And it did about 45 minutes later, right when we approached the gorgeous coastal line with its green grass, crushing waves, and jagged rocks. It was spectacular! 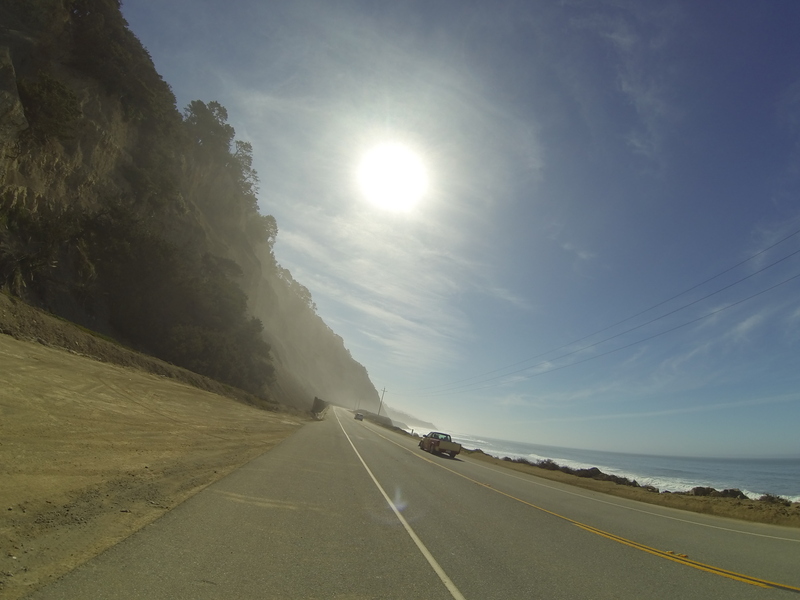 The plan was to do 28 miles down Highway 1, then turn around and come back the exact same way. The 28 miles south was fantastic — really fast, feeling strong, gorgeous views, and Dennis was nearby. Then I turned around and realized exactly why I had felt like a superwoman.. we had a tailwind! Which means we had a massive headwind to fight coming north for the next 28 miles. These were probably the most frustrating, long, horrible 28 miles I’ve ever done. Ever. The wind was so strong I felt like I was barely moving, but my heart rate was going through the roof. I knew I was working as hard as I could but I wasn’t getting anywhere. Dennis had stopped for pie at Pie Ranch so I was out there without a paceline buddy. Then I started the dreaded “countdown”. The countdown is where I excessively look at my Garmin to see how much farther I have. 28 miles…27…26…25… and so on. It was mentally very challenging. My nutrition, hydration, and everything else was fine. It was just conquering the wind that was the hardest. It took 35 extra minutes to travel north compared to south. Unreal. The other difficult part about the ride was the extreme temperature changes. We had cold at the beginning, then really warm ~70 degrees and sunny in the middle, then back to cold and wind towards the end. I just zipped and unzipped my jacket the best I could. The good thing about the ride is that I did it continuously without stopping. And 56 miles is exactly how long the half ironman bike distance will be, so it was a good gauge to see how fast I might be able to do the bike leg of the triathlon. If it weren’t for the wind I’d estimate around 3:20 (compared to 4 hours last year). After the ride I went to the New Leaf Community Market for a post-ride lunch. I got a baked tofu sandwich with avocado and veggies, a Green Garden juice from their juice bar, and a quinoa salad. Sat outside and devoured it all. The Wildflower Triathlons swim will take place out of Harris Creek (2 miles east of the Lynch Area) if water levels do not reach the Lynch launch ramp by race day. After completing the swim, Long Course and Olympic Distance participants will exit the water and transition at Harris Creek for a 2.2 mile run along the shoreline back to the Lynch Transition Area. From there, athletes will head out on unchanged bike courses for both the Long Course and Olympic Distance race. Due to the 2.2 mile run after the swim, we will be subtracting 2.2 miles off the final run portion for both the Long Course and Olympic Distance race. The unmatched and “uniquely Wildflower” festivities of wine tasting, live music, movie night, kid’s zone and more will continue to take place in the Lynch Festival Area. After 32 years, the Tri-California Staff feels confident in the production of this year’s event and looks forward to sharing many more memories with you. So what does this mean? Not a ton, to be honest. We’ll probably have a transition area after the swim to strip our wetsuits and put on running shoes, then another transition area per usual to hop on our bikes. The 2.2 miles that are coming off of the run include a really monotonous out-and-back that I remember being especially difficult from last year. So the good news is that they’re making it work, the race will go on, our training will be put to use, and we just have to do our best given the circumstances. More team bonding! Jason and a few others had a guest bartending fundraiser at Tonic on Friday night where all of their tips went straight to their fundraising page. I think they ended up making $900 or so. Congrats! They also had a raffle for gift cards and wine. And I also found out that one of my EA colleagues is a part-owner of the bar along with several others in SF! Very cool! Kimberly had her fundraiser on Friday night, too. She had green jello shots, tons of food (thanks for the vegan black beans for the tacos!) She also raised several hundred dollars for LLS. I got to see some old teammate friends who I hadn’t seen in a while. Good times. Big thanks to master bike fitter extraordinaire, Pedro Dungo, for making me more aero! He helped fit my bike in a more aggressive position and added aero bars for (obviously) a more aerodynamic and fast bike. Pedro is the best! 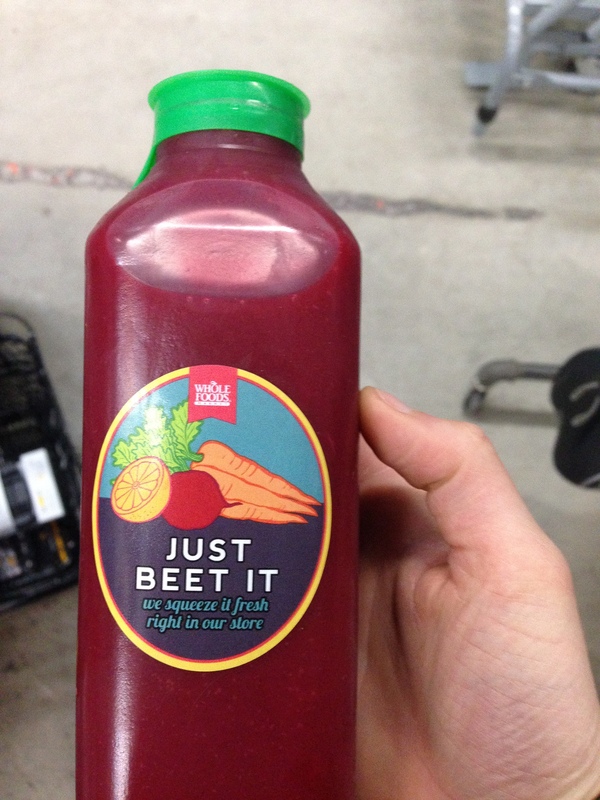 We ate kale chips (my favorite green snack) and I crushed a beet juice. Wish I had those aero bars for that windy bike ride on Sunday! Oh well. 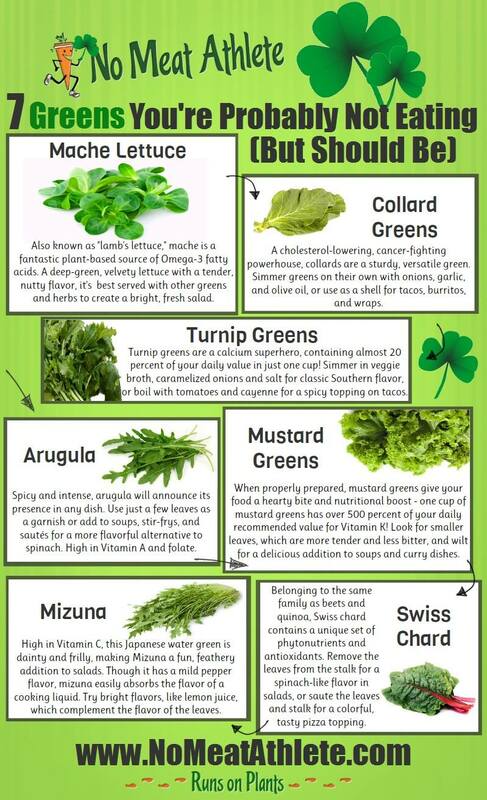 How to Eat More Greens! Make smoothies with fresh or frozen fruit and packed with greens. The fruit easily masks the somewhat bitter taste. Smoothie recipes. Substitute tortillas with collard greens for your wraps. Or use a nori sheet to make a ‘sushi-rito’ (basically a burrito with a seaweed nori roll). Sample recipe here. 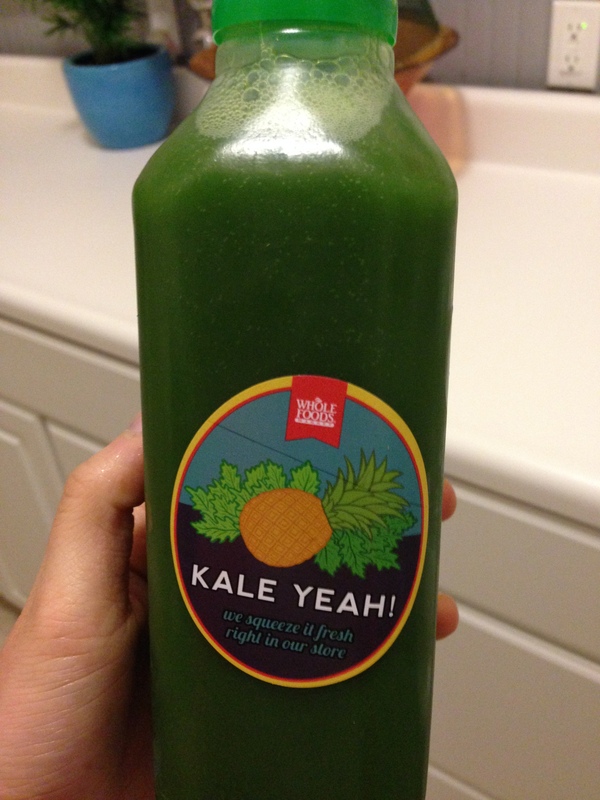 Buy frozen greens (broccoli, spinach, kale) so you don’t have to rely on fresh veggies. Eliminates excuses! Frozen foods work great in smoothies and stir fry dishes, too. Great article about frozen veggies! Learn how to make kale chips. It’ll change your snacking life. Oh She Glows has the best tips for flawless kale chips. Have a salad every day. Period. Why?? Green beer totally counts. How to make green beer. Sunday the 16th. Bike. 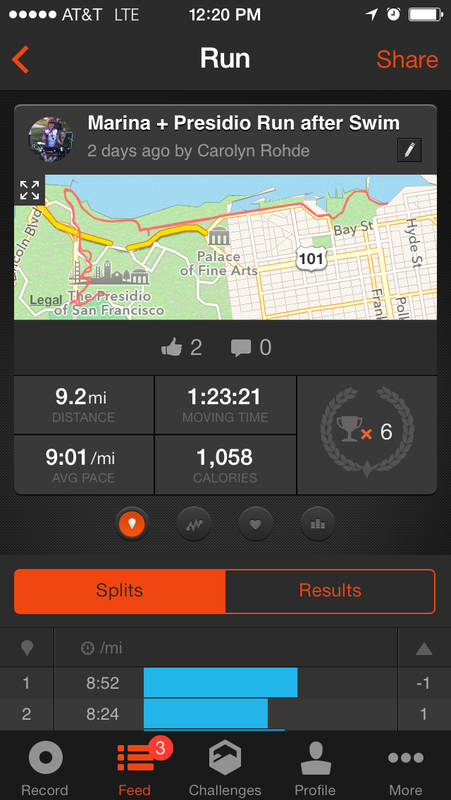 Half Moon Bay Highway 1, race distance continuous ride. Windy. 3 hours 45 minutes. Saturday the 15th. Swim. Open water aquatic park. 42 minutes continuous, 1 mile. Thursday the 13th. Swim. Drills and a little speed work. 2,025 yards. Wednesday the 12th. Run. Treadmill intervals 5 x 800 with increasing speed. 4.0 miles. Thanks everyone. Swim. Bike. Run. Eat Plants.